Joker: I'm in Russia right now. I was wondering what you were doing, so I called. Joker: I'm always here for the end of the year. Yuki: Wow, really? What's New Year's like over there in Russia? Joker: It's like Christmas the whole time from the end of the year. How did you spend it? Joker: Ahaha, you really are just about eating, aren't you? But Japanese-style New Year's is good too. Oh, right, maybe I'll wear a kimono for the New Year's party later. Joker: Alright, if I wear it, I'll send you a picture. So, look forward to it. 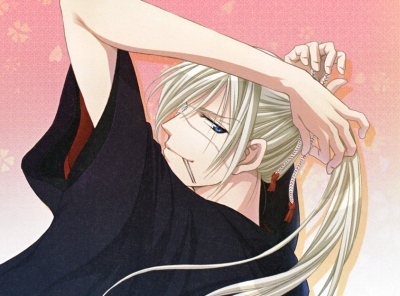 Since this year is the year of the ox, maybe I'll wear a ponytail♪ And I should send a picture to Hayato and Eiji too. Yuki: It sounds like you'll have fun this year too, Joker-san.